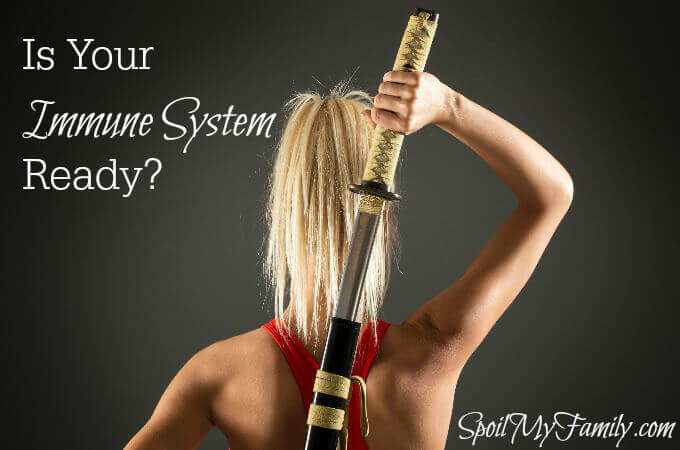 Is Your Immune System At Its Best? We have two complementary immune systems: innate and acquired. Innate immunity is the body’s natural, knee-jerk reaction to an unknown infection. Innate immunity is fast, broad, and incredibly nonspecific. When it gets activated, you know the feeling all too well—fever, cough, runny nose, and body aches. In short: inflammation. The real work of neutralizing an infection is the purview of acquired immunity, the targeted branch of your immunologic military that is built up over your lifetime…While a small percentage of antibodies are passed from mother to child, the majority are produced when a person first encounters a particular infection…If the body has been previously exposed to an infectious pathogen…the acquired immune system “remembers” it and is able to quickly recognize it in the event of future reinfection. Once reactivated, the acquired immune system synthesizes only the correct antibodies, with astonishing precision and efficiency. Getting lots of fruits and vegetables is a big part of our game plan for staying as vibrantly healthy as we possibly can. Seventy percent of our immune system is housed in our gastrointestinal tract. Seventy percent! So it makes sense that you want to keep your gastrointestinal tract functioning as efficiently as you can. Our gut breaks down the food we eat and keeps toxin from entering our bloodstream. If the gut is not functioning properly, its barrier becomes permeable and toxins can cross into our bloodstream. Dr. Tazneem Bhatia gives really terrific information about gut health in The 21 Day Belly Fix as well as a 21 day regime to start healing your gut. It takes discipline, but the plan is really worth it – you will start to feel amazing in just a couple of days! Eliminating or reducing foods that are likely to cause gut disfunction is a good beginning. Start by eliminating or reducing gluten, dairy, and refined sugar. Great nutrition goes hand in hand with gastrointestinal health. Once you’ve taken out some possible offenders, fill your diet with as many fruits and vegetables as you can – organic when possible. Add in foods and supplements that can actually help improve and heal your gut. Probiotics, fish oil, and fermented foods like kambucha, kimchi, sauerkraut, and kefir all fit the bill nicely. But this doesn’t “boost” your immune system – it maintains healthy function – so this is something you do want to do. A great, non-toxic fruit and veggie soak like this one can help eliminate toxins from your produce. We are exposed to toxins every day that place a chronic strain on our immune systems. Instead of protecting you from a cold or flu, your immune system may be busy flushing out toxins. If you can’t find organic fruits and vegetables, use a good fruit and vegetable wash to eliminate as many toxins as possible from your food. 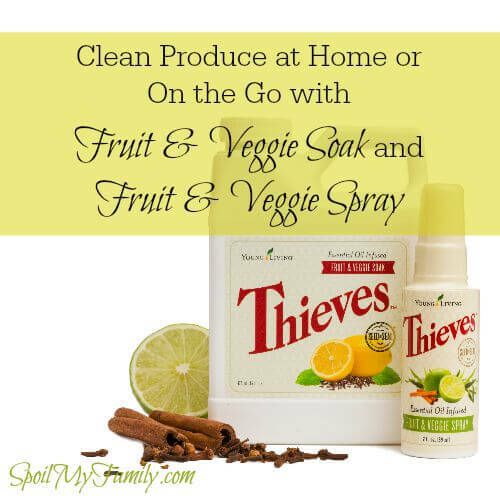 It’s also a great idea to start working to remove other toxins in your home by replacing chemical cleaners. If you can, replace plastics (containers, bags, etc.) in your kitchen with glass containers and reusable lunch bags. If you can’t always use glass, try to at least find some great storage containers that are BPA free. We have a game plan for staying as vibrantly healthy as we possibly can. Essential oils are a big part of that plan. 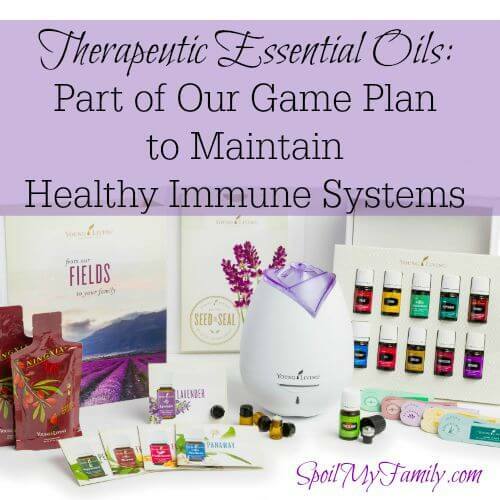 We use essential oils year round as part of our overall plan to help maintain vibrantly healthy immune systems. Each year, as soon as school starts, somebody brings something home. And they usually share it with the rest of us. I don’t say that we never get sick. 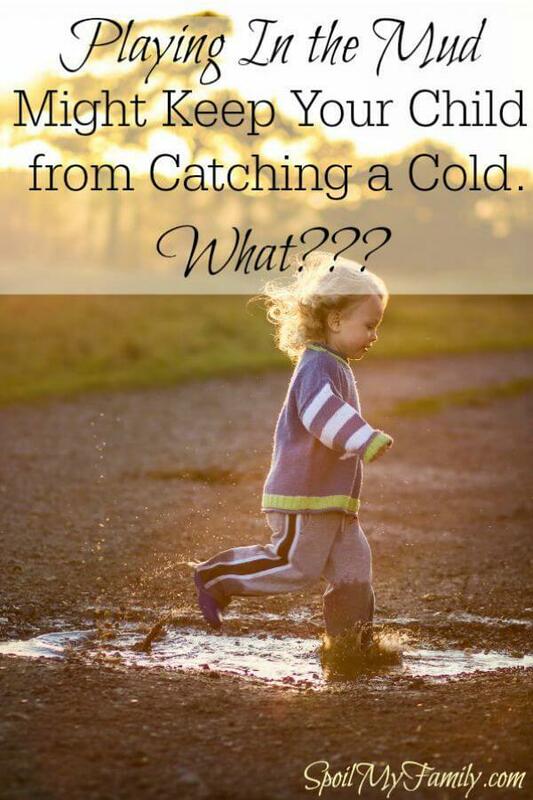 But, we work to maintain the healthiest immune systems possible year round. When we do get sick, our immune systems can function at their very best and they can work perfectly to heal our bodies as quickly and efficiently as possible. See which essential oils our family uses. Getting all the proper vitamins and minerals is a big part of our game plan for staying as vibrantly healthy as we possibly can. 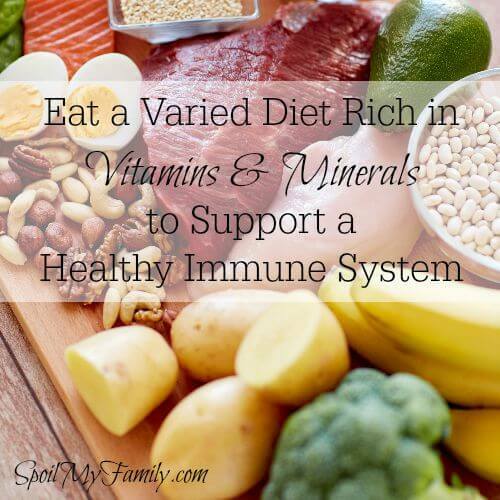 What you want is for your healthy immune system to be functioning at its maximum efficiency to keep you and your family at your strongest and healthiest! 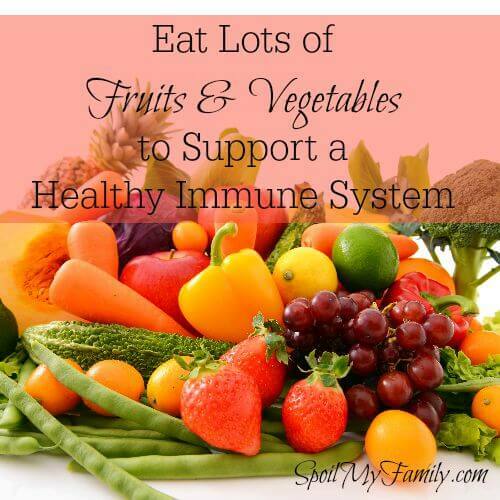 And now that you know how to do that, can you see why you might not want to “boost” your innate immune system? That would mean more fever, cough, runny nose, body aches, and inflammation that aren’t doing any heavy lifting to neutralize your infection. And you can also see that it’s not really possible to “boost” your acquired immune system since it’s largely built up over your lifetime. A “boosted” or overactive immune system actually creates an imbalance in your body, allergic reactions, or autoimmune diseases. An immune system on overdrive is NOT what you want to help you make it through cold and flu season or any other time of year. 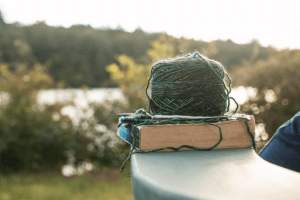 What you do want is to support your body’s beautifully and perfectly designed immune system so that it will function fully and efficiently to do the job that it was created to do. So eat your veggies, use nature’s medicine and let your toddler lick her applesauce off the park bench and make some mud pies. Who knew? Can You Bring This Wellness into Your Own Home? The Everyday Essential Oils Collection: Includes Peppermint, Lavender, Lemon, Copaiba, and Frankincense essential oils PLUS R.C., Thieves, PanAway, Purification, and DiGize essential oil blends. Related Article You May Like: What’s In the New Premium Starter Kit? The Essential Oil Starter Guide – a gorgeous 20+ page booklet that covers uses for each of the essential oils in the starter set. Access to The Oil Nation Facebook Group — an amazing group where you can ask essential oil questions and learn from over 1,000 members. 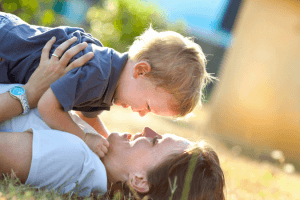 Educational Resource Package — a 400+ page educational resource guide to help you learn how to use essential oils safely and effectively with your family. CLICK BELOW TO GET STARTED RIGHT NOW!!! Young Living’s Brand New Most Amazing Premium Starter Kit Ever for Essential Oils! *The holiday bonus Amazon Gift Card is good only through December 31, 2015. Disclaimer: These statements have not been evaluated by the Food and Drug Administration. This information is not intended to diagnose, treat, cure or prevent any disease. The information on this site is not intended or implied to be a substitute for professional medical advice, diagnosis or treatment. Please confirm any information obtained from or through this website with other sources, and review all information regarding any medical condition or treatment with your physician. Never disregard professional medical advice or delay seeking medical treatment because of something you have read on this website. Please keep essential oils out of the reach of children. Thanks for all this info! I’m fascinated by gut health and the role it plays in our wellbeing. I’m nursing a baby right now, so I know it’s especially important for me to support immune health–for both our sakes! Thanks for stopping by. Congratulations on your baby! Great post. Thank you. Lots of excellent information.